You have heard me talk here and here about my love for anchor charts. 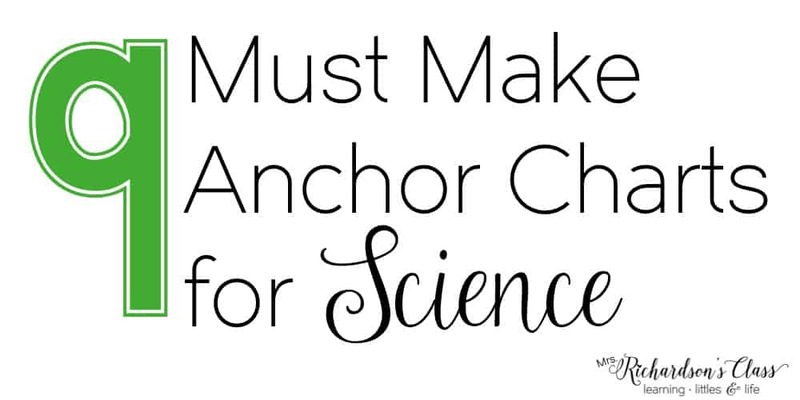 It continues today as I highlight some of my favorite science anchor charts! 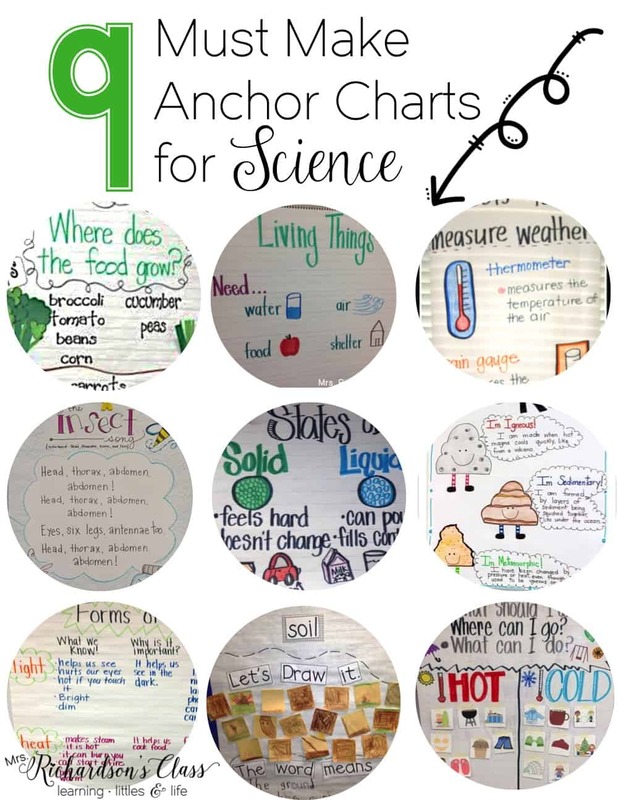 This science anchor chart by Chalk Talk caught my eye quickly! It is great to create you discuss plant parts. 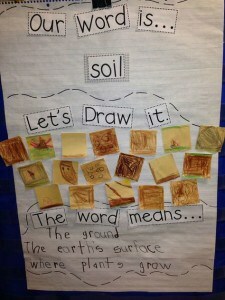 My little scientists always enjoyed learning that the food they eat is a plant. Sometimes we eat the tops (leaves, stems, flowers and seeds) and other times we eat the bottoms (roots)! Discussing the basic needs of all living things is a topic we all cover. 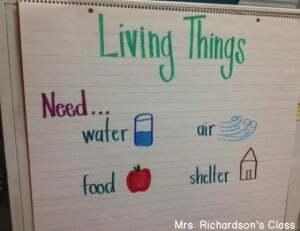 This anchor chart shows how I introduced living and non-living in our kindergarten classroom. 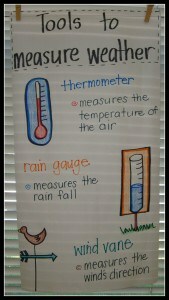 When it comes to measuring weather, most of my littles had no idea what tools we would use. As I introduce them, we always made a list of the name of the tool and what it measured. 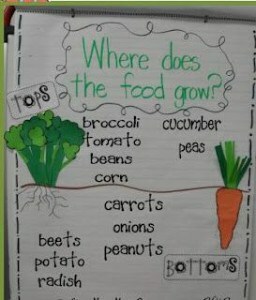 This chart, by Melissa from Today in First Grade, is a great visual to keep around! Singing songs was an every day activity in our classroom. We sang about math, reading, social studies, and science, of course. 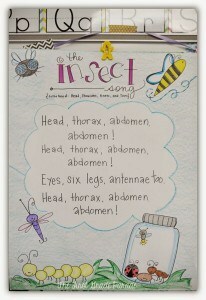 This song by Cara Carroll is JUST the right thing for your insect unit! Matter is always a tricky subject, but SO much fun for the students to explore. 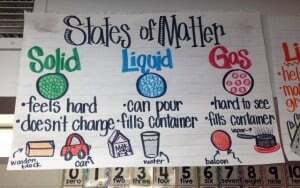 This science anchor chart does a wonderful job of explaining the properties of the three types of matter. Unfortunately the author is unknown. 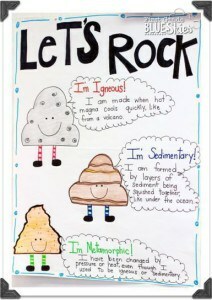 Types of rocks can be tricky to keep straight, but with this anchor chart, by Jennifer from First Grade Blue Skies, your little scientists are sure to remember! 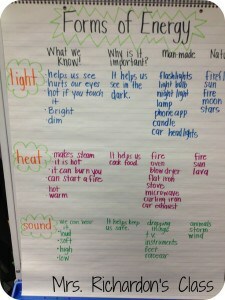 When we discussed forms of energy, I felt like there was so much depth! We used this anchor chart to keep everything straight as we learned about each form. 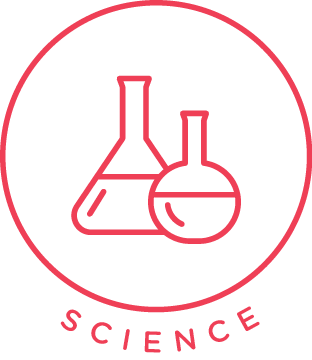 Science vocabulary is crucial for students as we introduce each topic. This anchor chart by Chalk Talk is absolutely fabulous! 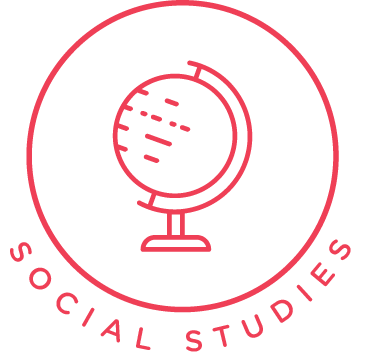 Each student gets to be involved with the creation. There is power in that! 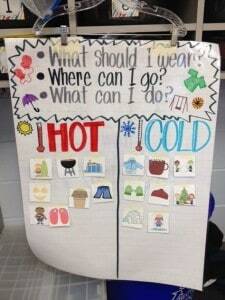 This simple science anchor chart about hot and cold is a great tool to not only record what you learned, but also the questions at the top prompt the students to think about more than items that are hot and cold. This format can be applied any science topic easily! Unfortunately the author is unknown. 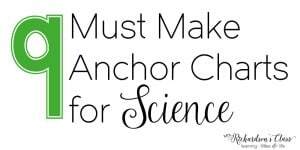 If you are looking for more great anchor charts, be sure to follow my Anchor Charts for K-2 Pinterest board! 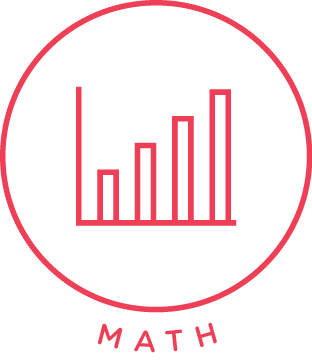 Also, be sure to check out more must make anchor charts for math and reading. I love the anchor charts. These are all awesome! Thanks for the shout out!! Thank you and of course!! I love your anchor chart!! Regardless of the grade inwhich you created these, working with students who have certain autism and/or learning disabilities, I can STILL use these anchor charts and, if needed, build upon them! 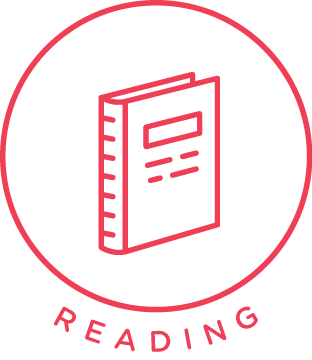 All learners can appreciate a picture or visual support. Great job!! Thank you!